Cocktail Hacker » Blog Archive » Adios Margarita! I can officially say I am a changed man with regard to Mexico’s most well known spirit. This week has really been the epitome of what this site is about. I took a liquor I knew nothing about and for the most part disliked. Learned what I wanted about it, experimented with one of its classic incarnations, and grew from the experience. So, what all did I learn this week? Let’s start with the cocktail recipes. I started the week with the recipe recommended, a ratio of 3 parts Tequila, 2 parts Cointreau and 1 part Lime Juice, or 3:2:1 (I’ll use this notation in this post when comparing recipes as it makes the discussion flow better. Note though that with these proportions you should aim for 4-5 ounces of final mixed drink, adjust accordingly). Roberts recipe is very well balanced and a very good drink, but it wasn’t exactly what I was looking for. The tequila seemed to be covered too much by the Cointreau and the resulting drink was a bit too sweet for me. So I tried the recipe I found in my 1974 copy of Mr Boston’s next, namely a 3:1:2 ratio. This is more what I picture a Margarita to be, more lime flavor and not quite as sweet. Problem is this one is a bit overpowered by the lime. Still not exactly what I’m after. Soooo….I mixed up a recipe in one of the books my Aunt Ronnie sent me, Cocktails by Jeremey Harwood [Referer Link]. Jeremy’s recipe calls for a ratio of 3:1:1, which seemed like just what I was looking for. So I mixed one up. It’s at this point I should tell you a bit about my testing methodology. Rather than drinking 6 or 7 cocktails in one sitting I mix mini drinks. In this case I was using teaspoons as my parts. Also, I was using the ingredients at room temperature and not using ice. Which when making cocktails is never the right answer. So when I mixed up the mini, room temp version of this recipe I thought I had truly found my winner. The tequila shined through nicely and the other ingredients still played their part. Once all my testing was done I mixed up a full size version using ice and the proper technique and what I found was most interesting. The drink was completely different. The lime and sweetness were very muted and drink was no longer my favorite. Back to the drawing board. I turned to the recipe in the Difford’s Guide, 2:1:1. This, my friends, was the answer I was looking for. The tequila was strong enough to shine through wonderfully but the lime and Cointreau balanced out the flavors. I’d strongly suggest this as a starting point for anyone looking to experiment with the Margarita. There is one tweak I’d suggest you make though, the Tequila. 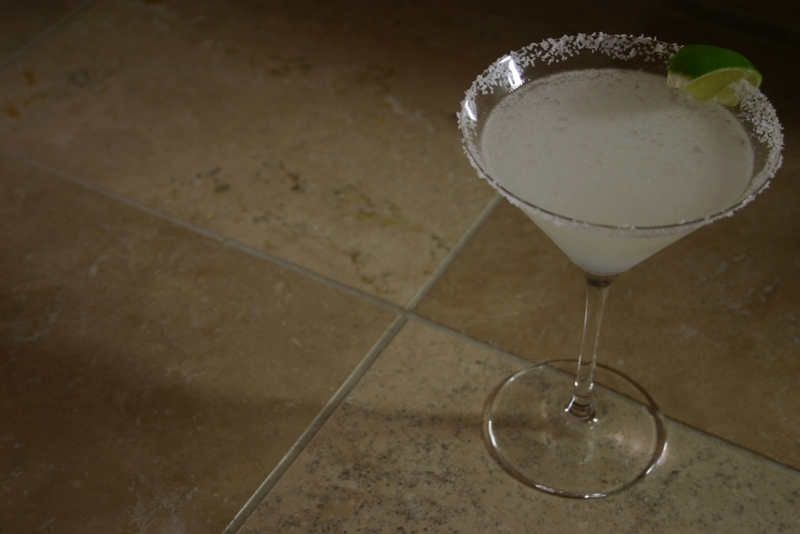 Hess and other recipes suggest using a blanco or silver Tequila when mixing Margaritas. On that advice I picked up a bottle of Hornitos Plata. This Tequila is amazingly smooth and works very well to introduce someone to Tequila. The reason it’s such a good introduction though is also part of its down fall in this cocktail. It’s too smooth, the Tequila flavors don’t shine through like I wanted them to. Sean, my resident Tequila master, suggested I try a reposado instead. So at his suggestion I next picked up a bottle of Milagro Reposado. We mixed this up in the same recipe and that solved the over smoothness problem. The cocktail is still very smooth, but the Tequila flavors are more pronounced. So my suggested tweak is to try a reposado in this cocktail. Next came the question of salt or no salt. I personally prefer no salt, doesn’t really add much for me. But there are a lot of people that really like the additional salt. So, my recommendation is, if possible, ask the drink’s intended recipient before mixing. Or if you’re mixing a tray load for a party try Hess’ suggestion and salt half the glass’ rim. This will let those who like salt have some and others can easily avoid it. One final tip that I picked up from Hess’ video is that when salting a glass run the lime around the outside edge of the glass only. Then when you apply the salt you won’t get any inside the cocktail prematurely. So I’ve rambled for quite a while in this post, but I have a couple more items to add. I’ve been reading “The Joy of Mixology” by Gary Regan for the past couple weeks. In the section about champagne cocktails Regan suggests topping some classic cocktails with a bit of champagne to add an interesting twist and mentions that it works particularly well with the Margarita. Indeed it does. 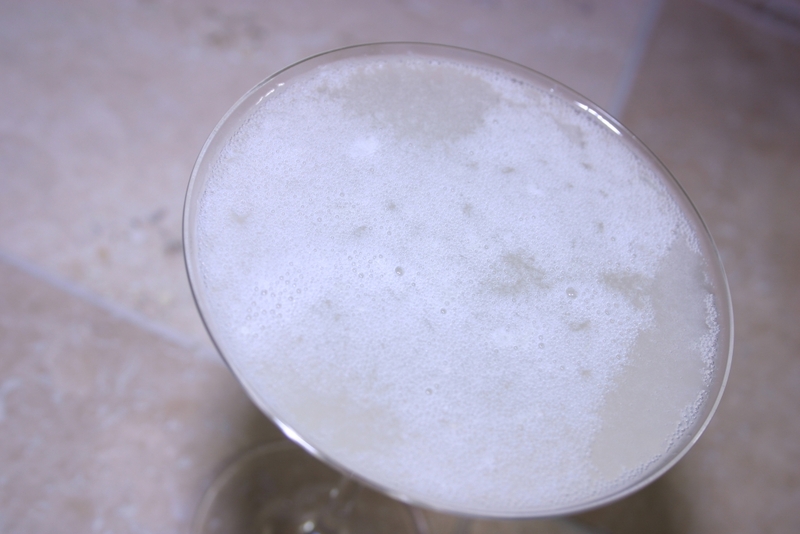 I enjoyed mixing up my chosen 2:1:1 Margarita and adding about one to one and a half ounces of champagne on top. The resulting cocktail has a wonderful effervecense and the flavors stay true to the Margarita. Certainly give it a try. I was able to find some very small bottles of champagne that work great in this application. One last interesting tweak. Sean, as I mentioned earlier, is my resident Tequila master. As such, he likes his Tequila straight up. 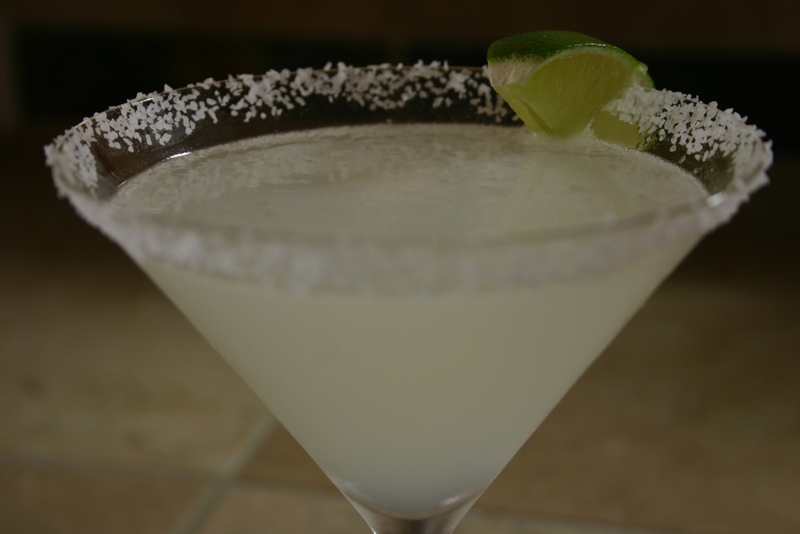 So we went looking for a Margarita recipe that captured both the spirit of the cocktail and allowed the enjoyer to appreciate the flavors of the Tequila as well. Using a 6:1:1 ratio we were able to include the lime and Cointreau flavors in the background while bringing the Tequila flavor to the forefront. This recipe truly is all about the Tequila and along with that you should use an appropriately excellent Tequila. For our experiment we used Patron Anejo which worked wonderfully. Enjoy your Margaritas. I look forward to more experiments like this week. As I said I’m a changed man.